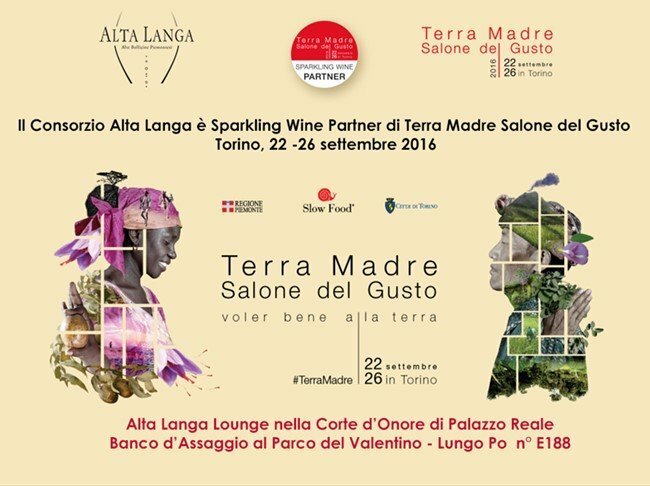 lta Langa Docg top Piedmont bubbles will be served during the gala dinner at Sala di Diana in Vineria Reale, at the launch of the event. Two are the spaces dedicated to Alta Langa within the exhibition: a Lounge in Corte d’Onore at Palazzo Reale (opening from 12am to 12pm) and a tasting desk in Parco del Valentino Lungo Po around the area of Mercato Italiano and Internazionale and the Slow Food Presidia (Position nr. E188 open from 10am to 7pm). Each “maison” will be represented with its own cuvee and a total of 30 different Alta Langa will be available for tasting. Alta Langa will also be protagonist in three tasting workshops, at the gourmet dinner with two Russian chefs Sergey and Ivan Berezutskiy and in four dinners on Gtt Gustotram. Recently meat consumption issue has long been debated. With the medium class growth in countries such as China and India, meat consumption has been terribly growing, causing various environmental problems due to the livestock crowding. Sergio Capaldo, veterinary, promotor of the Piedmont race (Slow Food Presidium) and founder of Consorzio La Granda, will guide us together with chef Luca Cantù in the magic world of meat teaching us how to eat it with awareness, dedicating particular attention to all the parts of the animal, especially the least noble matching with the Alta Langa bubbles of Consorzio Alta Langa DOCG. In his kitchen, at restaurant Le Nuvole of Villa Signorini hotel and relais in Ercolano (Naples), chef Corrado Sorbo proposes his dishes – a mix of tradition, research, selection of excellent raw materials and elegant presentation. Under Turin sky, Corrado will bring a breath of Campania making a “spaghettone” live with pesto of Aprilatico broccoli of Paternopoli (Slow Food Presidium) and Menaica anchovies (Presidium) on Castellamare violet artichoke (Presidium) crunchy bread crumble. Pairing with Alta Langa bubbles chosen by Consorzio Alta Langa DOCG. In their thirties and talented the two most gossiped twins of Russian gastronomic scene. Sergey and Ivan Berezutskiy opened their restaurant – the Twins in Moscow – assuming to offer hyper-traditional dishes of their country, with pre-soviet roots, reinterpreting them in a modern and current touch. Not that simple… In their visions they combine playfulness and irony, in their dishes modern technologies and traditional ingredients, researched during their numerous trips in Russia. The theme of duality, in life as in the kitchen, regularly occurs, every dish is a comparison of the similarities and the differences between the ingredients, a philosophical view of symbiosis. The menu: Kamchatka Nerka (Oncorhynchus nerka) with sauce of the 12 Altai herbs, Nordic shrimps with kefir and gooseberry (ribes uva-crispa), Far Eastern Russia shells with millet and pike caviar, the bull’s neck with salted mushrooms (Lactarius resimus), Altai cheese and hemp seeds, buckwheat ice-cream with fermented apples and mousse of fermented apple leaves. All matching with Alta Langa bubbles selected from Alta Langa DOCG Consortium. Historically the “salumi” were invented with the intention to use all the parts of the pork, also the least noble. But the art of “norcineria” (pork butchery) and the spices savant use gave life to true and proper excellences: from classic mortadella to the mortadella of Prato, both Slow Food Presidia, from pink salami of Bologna to the very rare Lyon. To finish the hand-made cooked ham, or the steamed ham in mountain hay brine. Tasting accompanied with Consorzio Alta Langa DOCG bubbles. On board Gtt Gustotram Turin magic will be on show while tasting a Piedmont dinner doc cooked by chef Maurizio DellaPiana of Osteria dell’Arco in Alba (CN) – one of the most representative tables of Slow Food philosophy. Here is what is on the menu of this delicious journey among the symbol zones of the town: grey rabbit of Carmagnola (Slow Food Presidium) and giardiniera (pickled vegetables), Tomato bowl with green sauce, Agnolotti del plin (stuffed pasta) with meat sauce, Piedmont race veal cheeks (Slow Food Presidium) with Alta Langa, Gianduia chocolate of Igp Piedmont hazelnuts. Served with Consorzio Alta Langa bubbles. The tram leaves from the stop in front of the Teatro Regio in Piazza Castello. On board Gtt Gustotram Turin magic will be on show while tasting a Piedmont dinner doc cooked by chef Pierpaolo Livorno of Garden Pollenzo Agency of Bra (Cn), where Northern and Southern Italy combine their best products. Here is what the menu foresees for this extraordinary journey among the symbol places of the town: Menaica anchovies (Slow Food Presidium) fried in carpione (marinated), “corno bue” pepper of Carmagnola (Slow Food Presidium) filled with tuna pâté, Grumolo rice of the Abbadesse (Slow Food Presidium), roses, Salina capers (Slow Food Presidium) and red fruits, sambucano Lamb (Slow Food Presidium), and a tiramisù. All with Consorzio Alta Langa bubbles. The tram leaves from the stop in front of the Teatro Regio in Piazza Castello.